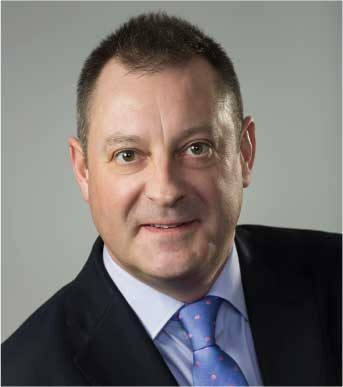 Paul Kirkwood is a commercial mediator registered with the Scottish Mediation Network having completed the LLM Legal Master’s degree in Mediation, Negotiation and Conflict Resolution at the University of Strathclyde, run by mediation pioneer, Charlie Irvine. Paul now runs MNCRS – Mediation, Negotiation and Conflict Resolution Services. He is also a solicitor, formerly a litigation partner at the law firms Thompsons-Scotland and Lawford Kidd solicitors, he had over 24 years’ experience in private practice, dealing with thousands of litigated cases. He has significant experience in commercial business disputes, employment/workplace disputes, partnership disputes, personal injury disputes, professional negligence disputes and education law disputes. In order to help them resolve their conflict, and move on! Mediation allows parties to resolve their dispute faster and much more cost effectively, than by going to court or to tribunal, without the imposition of a third party decision, by a judge or arbitrator. A mediation meeting can be set up in a matter of days. The mediator helps parties to focus on and identify the precise nature of the dispute; to clarify what information or evidence both parties need to bring to the mediation and disclose to each other; and to identify the right people who need to be at the mediation to test the evidence presented, to give advice on it and to enable the best prospects of settlement. The presence of mediators at the negotiation of the business dispute helps parties break the logjam. Invariably by the end of the process, parties move towards a more cooperative form of negotiation in which each addresses what they need to do to assist efficient and cost-effective resolution for both. This is a standard document, signed by all participants on the mediation day including the mediator and any assistant, and covers practical topics such as the names of the parties, the venue and date, as well as emphasising the confidential nature of the process and that it is both without prejudice and non-binding. By signing the Agreement everyone agrees to be bound by its terms. The standard form can be obtained here. Mediation saves years of waiting. Injured people tell their story; get it off their chests, so they can move on. They are in control of whether to settle or not-their case isn’t settled by a judge, but by them!